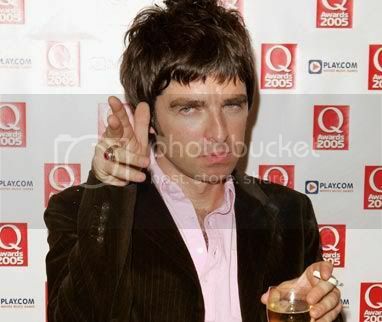 There are a few of us on this site who are unapologetic fans of Oasis and the great Noel Gallagher. There are so many songs he's written that I love but this cover of The Smiths' "There Is A Light That Never Goes Out" is one of my go-to Noel Gallagher moments. The video here is audience filmed but it's not too bad. If you want to hear this song in much better quality but without the video, it can be downloaded from iTunes and is highly recommended. I'm not resident Smiths obsessive -- that title belonging to BBS writer extraordinaire Heather -- so I asked her about this cover before posting it. While nothing is ever going to touch the original in her mind, she likes it and we both noted the reverence with which Gallagher performs it. You can tell he "gets" what's truly special about this one and he turns in a damn fine performance.